Nesterka (Нестерка) is a series of Belarusian short animated films. There are eight in total, each a few minutes long, produced by National Film Studio “Belarusfilm” (Национальная киностудия “Беларусьфильм”). The first episode/film was released in 2004, the last in 2012. According to Belarusfilm, Nesterka is one of Belarus’s most treasured folk heroes. Nesterka is often described as a “joker” and “jolly fellow” (балагур и весельчак, in Russian) and a pauper who gets himself into odd situations. He has a long history in the arts in Belarus: Vital Volksya (Віталь Вольскіa) wrote a play about him in 1940, and then in 1980 Evgeniy Larchenko (Евгений Ларченко in Russian) and Aleg Belausau (Алег Белавусаў) made a short animated film based on the play. There’s also a 1955 film about him. “Nesterka-1: How Nesterka Found the Buried Treasure” (“Як Несцерка клад знайшоў”)—the first in the contemporary series—shows Nesterka deciding to start a new life. He takes up pottery and finds a true artist’s talent within himself. The second episode, released the following year, shows Nesterka and his loyal canine companion going to the market to sell his pottery, but they run into trouble along the way. Things go on in this vein for several more episodes, with a happy, educational ending for each episode. Other heroes and antiheroes from Slavic folklore appear from time to time, such as Gorynych the Dragon (Змей Горыныч in Russian). Finally, in the last episode, Nesterka “finds happiness” (“Як Несцерка шчасце знайшоў”). In 2013, the full series was released as a film, The Adventures of Nesterka (Прыгоды Несцеркі). 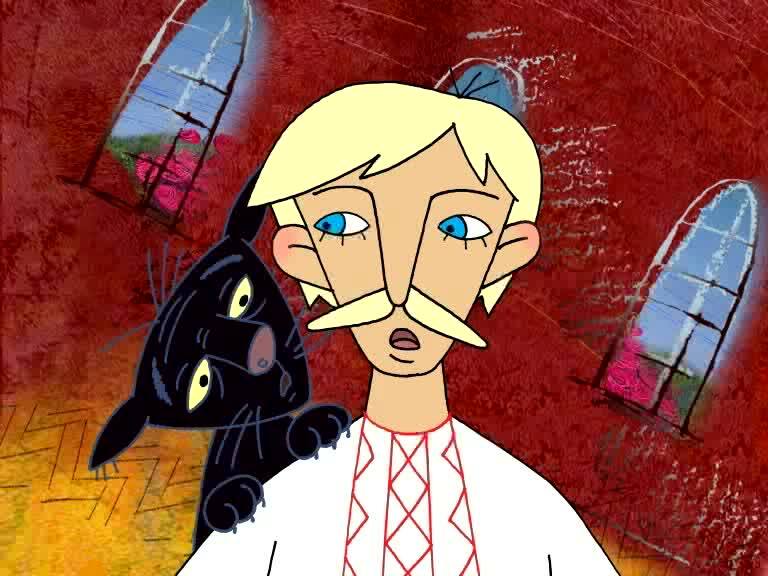 It was the first full-length Belarusian animated film. The series’s director, Igor Volchek (Игорь Волчек), is a Distinguished Artist of the Republic of Belarus. He’s been directing animated films since 1982 and composing music for films, chiefly documentaries, since 1977. He’s also the artistic director of the animation studio of Belarusfilm.